OMG! it’s Wheel of Fortune Winning Wedges, another hit Wheel of Fortune slot machine from players favorite IGT. 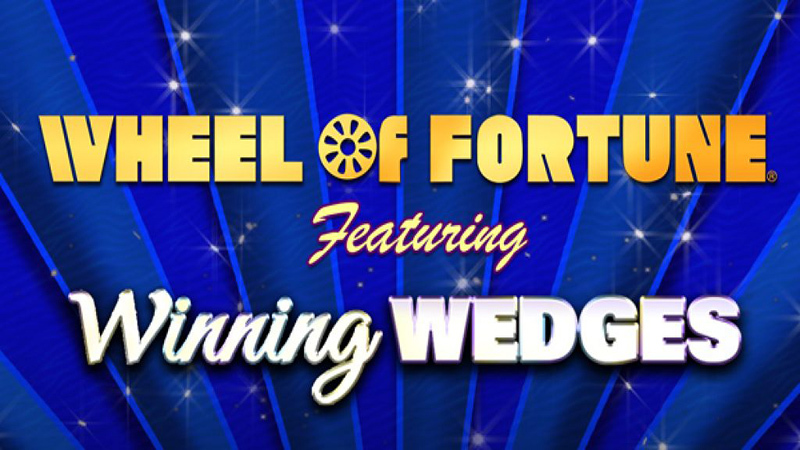 Wheel of Fortune Winning Wedges uses the traditional, recognizable format of earlier Wheel of Fortune slots with an up to date modern reel base game, and the chance for additional wedges in the bonus feature for even larger cash prizes. Wheel of Fortune Winning Wedges also features three progressive jackpots available in most playing locations, with the main progressive jackpot often paying over $100,000! Since the Wheel of Fortune slot machine brand first graced Las Vegas casino floors over 15 years ago, the slot has paid out over $3billion in jackpots, and with every jackpot only a spin away, the anticipation is always there. The way in which Winning Wedges awards the bonus feature and the progressive jackpots is slightly different to the more traditional versions of the game, so a newer playing experience is available to players who want something different yet still recognizable. There are four reels on Winning Wedges, all of them stacked with symbols, with reels two, three and four stacked with progressive jackpot symbols for the chance to win one of the three progressive values displayed above the base game reels. 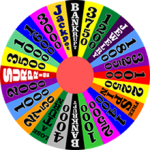 Reels two, three and four also host the bonus Wheel of Fortune symbols, with three in view awarding the famous and familiar bonus game which takes place on the top wheel. The standard bonus awards a single wedge, with the rotating wheel coming to a halt below the wedge and paying that value in the form of credits. The Winning Wedges bonus awards up to six wedges, each of which will pay the displayed value below its stopping position, resulting in some very large wins. A smaller Jackpot Wedges bonus wheel takes place on the base game, allowing for large credit pays and potential jackpot wins. Wheel of Fortune Winning Wedges is similar to Power Wedges and is likely found in the same location on the casino floor. Most traditional slot machine players will enjoy this new game, however the base game reels may be off-putting to some, it certainly doesn’t look as good as many other slots.